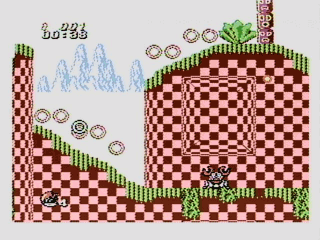 Much like Sonic 3D Blast 5 and 6, Family Kid is a hack of Somari, featuring 'Family Kid', some kid super hero. It's unknown to what he actually is, as this is the only knowledge we have about him. 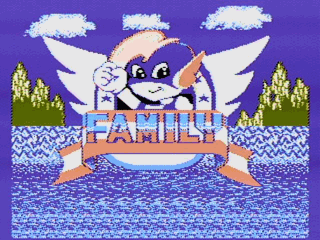 Here is Family Kid inside the Sonic 1 emblem for the title screen. The game itself is pretty exact to Somari, the only real difference is that Somari has been replaced by this strange mascot. 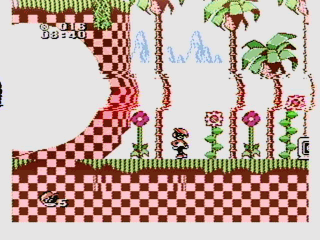 Here we see Family Kid chillin' through Green Hill Zone. It's unknown whether the game ends on the same note as Somari. 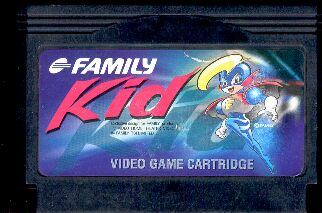 This is the cartridge, complete with artwork of the character. He's probably taken from a foreign commercial to use for the game.